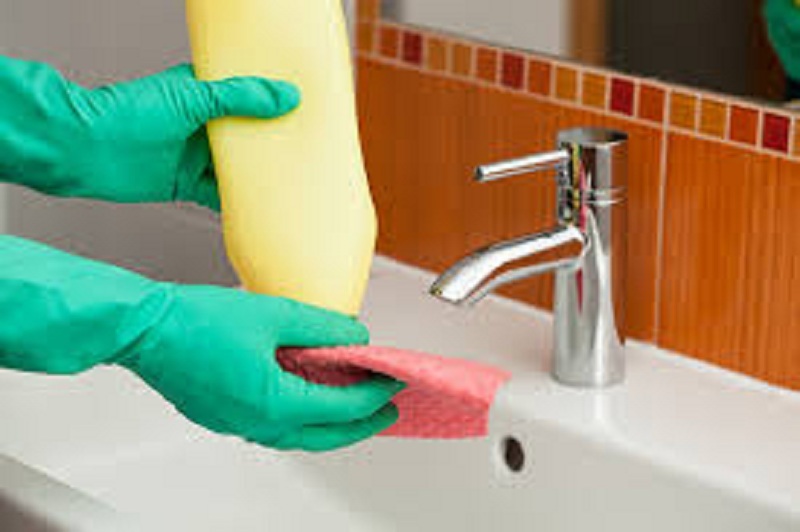 Cleaning your home, may not be your favorite thing in the world, but it’s something that should be done regularly. And this boring process can be much easier if you know some tricks. Such tricks don’t include spending money on expensive detergents or chemicals that will make you feel sick even before you start cleaning. 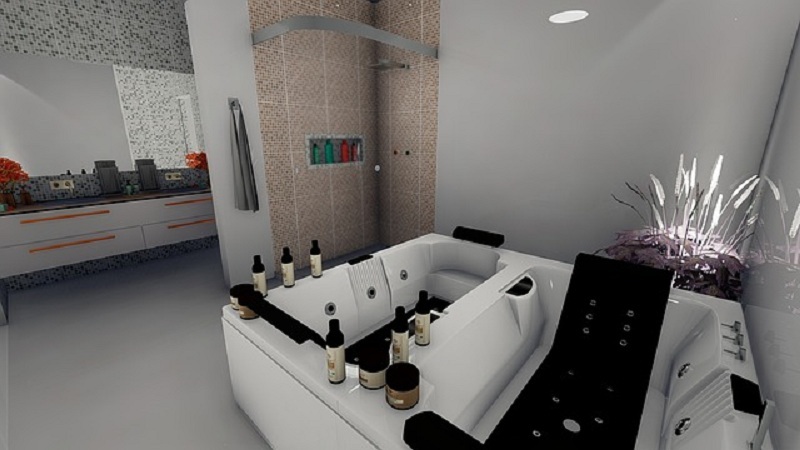 But instead, you can make your home shine by using some items that you already have in your home. There are many possible ways to use lemon for cleaning your home. One of them is to use it for cleaning the sink. Cut out the lemon in half, add some salt on it and run it through the garbage disposal. It will shine like new and the kitchen will smell wonderful. You can also, use lemon for cleaning the microwave. Simply cut several lemon slices and put them in a microwave safe bowl. Add a little bit of vinegar and water. Place the bowl in the microwave for five minutes on high temperature and then remove the bowl. Wait for a minute and with a damp cloth wipe the inside of the microwave to get rid of previously stuck-on food. Besides using vinegar for cleaning the microwave, you can also use it as a rinse aid in the dishwasher, fabric softener and cleaner. It can easily help you remove the mineral deposits of the bathroom glass block windows, as well as of the shower-head. Baking soda can also do wonders when it comes to cleaning. It is cheap, non-toxic an super effective abrasive which will help you clean all types of trouble spots. For example, baking soda is one of the best ingredients to clean and unclog the sink, especially when combined with vinegar. So, no more spending money on smelling detergents for unclogging. Also, you can use it for cleaning the oven or the grout or to scrub away scuff marks on the walls. Our smile is not the only thing that can shine thanks to toothpaste. Our home can shine too. Toothpaste is perfect for polishing silver, cleaning chrome, iron, glassware, removing water stains from wood etc. Also, you can easily clean your sneakers by scrubbing the toothpaste on the soles whether with a toothbrush or some plastic scrubber. The above ingredients are definitely some of the best ones to use for cleaning your home. They are not only cheap and non-toxic, but they are far more effective than many cleaning products and you will also try to use vacuums and to learn more about vacuums. So, use them next time you are cleaning and make this process easier and less frustrating. As one of the fastest growing social media outlets, Pinterest has appealed to a crafty, creative, and curious audience. Loyal Pinterest followers utilize its tools as not only an innovative means to organize projects and passions but also as an easy way to share and compare crafts with other users. While Pinterest is fun and incredibly useful, the inability for users to access the site offline is a considerable drawback. Consider this solution: with the right materials, a few inspirational tips, and some creativity, you can translate the fun of Pinterest into your day-to-day offline activities as well. While it may seem obvious, you must decide the exact focus of your board prior to getting too far into your Pinterest project. Do you want something that will help you organize crafts and projects or is your board geared towards helping you progress in your job or education? Furthermore, are you looking at something that can help you plan a major event? Knowing the goals for your board can help you determine which design style you should choose and which materials you will need. Once you have a specific board style in mind, you will then have to consider how to attach items to your board. The essence of “Pinterest” can apply to your physical boards with a few greening pins. Just because Pinterest focuses on pinning items doesn’t mean you need to approach your board in the same way. There are also several different kinds of tape you can use, including traditional masking and two-sided tape or more decorative options. Any of these options is a great way to attach items and make a statement if you choose. When assembling your board, you may be tempted to overuse photos and clippings. While a busy board is certainly acceptable, you want to make sure your board is a useful tool, not an obstacle to getting things done. Be sure to organize everything with colored paper or Post-It notes in an organic way to assemble your board to its highest potential. With a little optimization and tweaking, your board can be extremely useful. 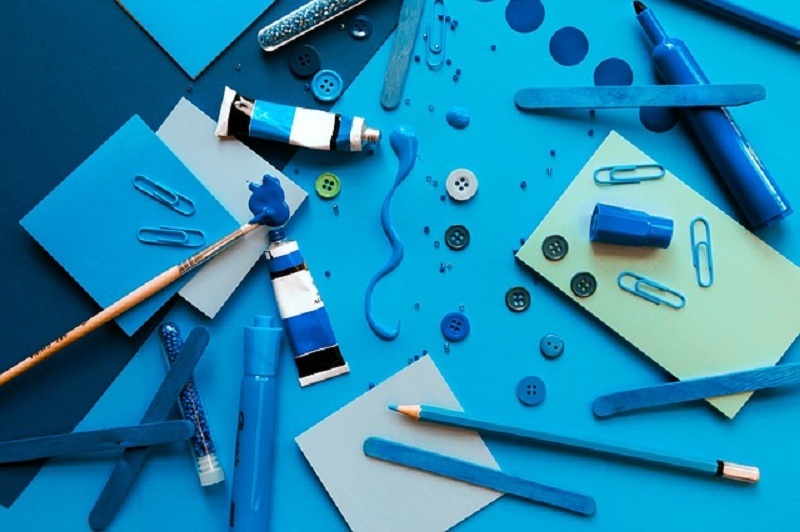 Once you have finished and assembled the essentials of your Pinterest board, it’s time to add your own flair of uniqueness and creativity. In a similar manner to how you would design an online board, your physical Pinterest board should reflect your own style and creativity. This board isn’t just a bland To-Do list, it is a fun and creative way to be organized. Adding some embellishments is a great way to make your board a little more creative. Be more traditional with sequins or ribbons that add a few pops of color, or do something a bit more outlandish with some tiny bows. The only thing stopping you is your own imagination! When your board is finally done, it’s time to put it on display. Make sure you set it in a highly visible spot so it will grab your attention. Don’t be shy about using crafty floral pieces to help it stand out and make it a true fixture. For hard-to-find crafting materials that you can use to embellish your new Pinterest board, online party supply stores such as Paper Mart can help provide you with quality products at discount prices. You worked hard on your Pinterest board, so let it work hard for you. Reward your effort by showing off your board with pride before you begin your next project. Christmas is for many the best time of the year. It is a time of festive activities, being together as a family, love, and joy. 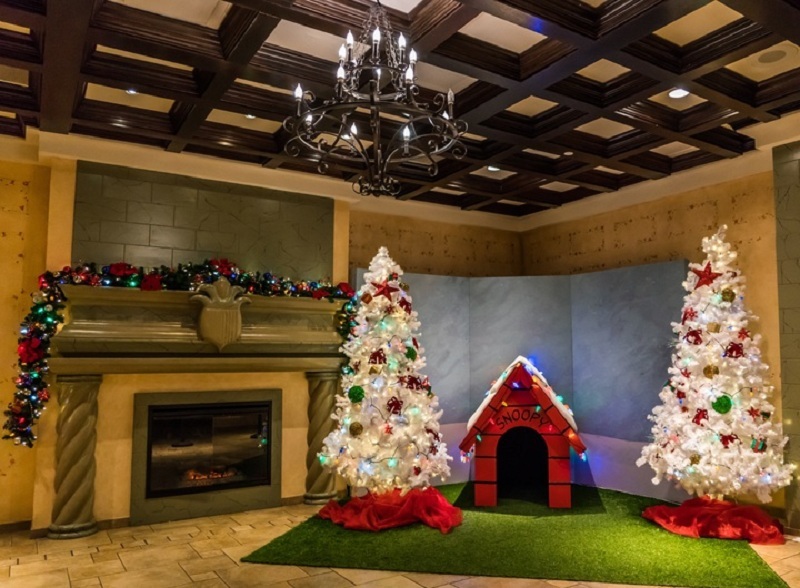 Maybe it’s your turn to host the annual family Christmas party, but you have no idea how to decorate your home. We’ve come up with five eye-catching yet straightforward Xmas decorating ideas to get you out of your decorating slump. Nothing is more inviting to visitors and speaks of Christmas than a wreath hanging on your front door. A wreath is an assortment of flowers, twigs, and fruits shaped in the form of a ring. There are lots of ways to get creative with wreaths as they can be made out of a variety of items and it’s easy to add your personal touch to it. Use materials like wood, branches, pine corns, linen or consider spraying it a beautiful snow white or even golden color. Want to make sure your house stands out from your neighbors? Why not create the wreath in the shape of your family’s name? Try this list from Elledecor if you run out of ideas. We all love the feeling of guessing what we will get for Christmas. Sometimes the suspense of not knowing what gift you’ll receive is even better than the gift itself. Nobody can say that they haven’t shaken their presents the night before to get some form of a clue what it is. Why not make the activity more interesting this year by substituting wrapping with pillows. This way you will keep everyone guessing, and you don’t have to spend hours wrapping presents. You can decorate the pillows to help create a festive mood or get special themed Xmas pillowcases. 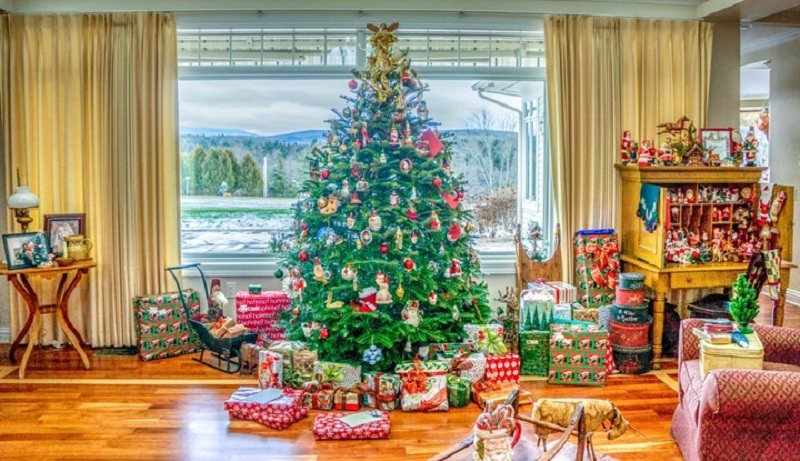 Alternatively, if you don’t like the thought of placing gifts inside cushions, putting a few Xmas themed soft furnishings around your home should also do the trick. This decorating method is an old favorite that will let your guest and the whole neighborhood know that you’ve got the Christmas spirit. If you don’t want to spend money, you can place a few candles or garden lanterns alongside your driveway. Otherwise, head over to eBay and browse through their wide assortment of Xmas lights. From candy cane shaped to snowmen and even Christmas themed flamingos, they’ve got it all. For less than $100 you can light your driveway. Ceramic Christmas trees were once part of a significant trend during the early 70’s within Christmas decoration scene and have emerged once again. However, now it has become a vintage piece which looks great in any home and is highly collectible. Christmas Tree Source has created a list of 13 ceramic Christmas trees to help you find one. You can you choose from many colors and if you want, even turn it into a DIY project with a tree you can paint whichever way you like. Not only will this decorative item intrigue many family members, but children will also want to touch it and be mesmerized by its flickering lights. Placed in the center of a table it makes a fantastic decoration that will be the start of many conversations. If you have a family gathering for Christmas why not gather a bunch of old family photos together, print them out and place them around the house. Be creative and use washing pins and pin the pictures to your Christmas tree or hang them over the fireplace. This will surely bring up old memories and be a wonderful time of remembrance for family members. To save a home from the effects of weather and for the shedding of water, you find multiple homes opting for cladding systems. This is a layer which is non-load bearing and is attached to the exterior of a home. The type of cladding chosen determines the environmental effect. You need to be aware that cladding has been used for a long time, but the basic function of this was to only to protect your home from the rainwater. These days, with multiple options available, you find cladding not only improving the looks of a home but also making a difference to the temperatures in the interiors. Thus, it is essential to opt for a cladding, which can serve all the purposes. You can find claddings made of different materials like plastic, metal, wood and a range of materials, which are composite. This can be attached either to an intermediate layer of spacers or battens or even directly to the frame. These systems are available in vertical and horizontal boards, overlapping panels or sheet materials like tiles or shingles. Each of the systems makes use of different methods to prevent the wind and rain to enter your home through the specific joints. The effectiveness of each of the systems depends on the direction of the wind and the speed along with the exposure to the rain. 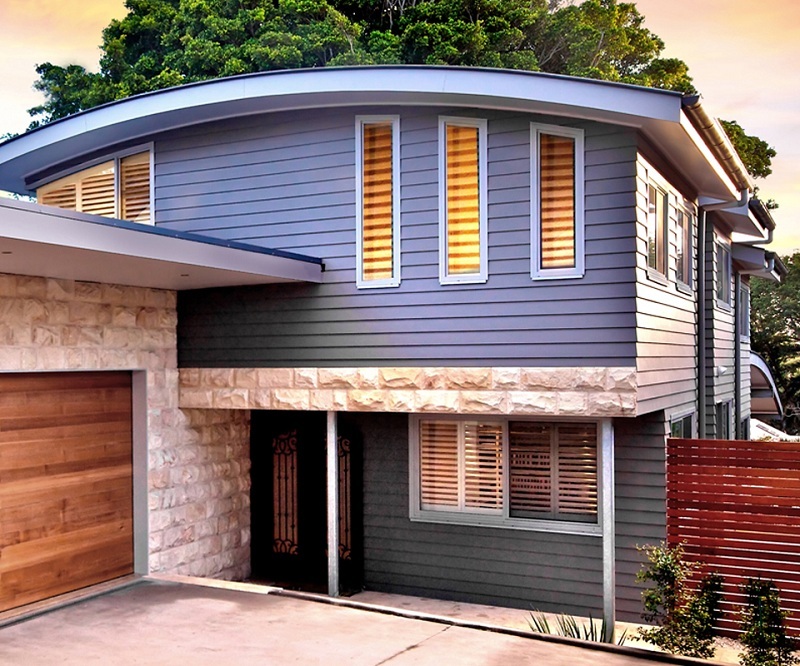 Let us see why this weathertex cladding is a favored choice for many homeowners. 1. Maintenance Being Low: As compared to surfaces, which are painted, cladding requires less maintenance. All you need to do is give this a regular wash.
2. Apt for Protection: The main reasons most homeowners use cladding is to safeguard the building from the harsh weather elements, as this works as a layer of protection. This tends to increase the mechanical strength of any building. Claddings in a building prevent any cracks being formed in the building due to the fluctuations in temperatures. This also protects the building from any water absorption or any damage from the harsh sunlight. 3. Aesthetic Appeal: However, the main reason most homeowners opt for cladding is to protect the building but you need to be aware that this can additionally change the overall look of the exterior of a building. The market value increases due to this appealing look. You need to make a choice according to the preferred look. 4. A Durable Option: The weathertex cladding is made of sustainable hardwood, which is environmentally friendly. 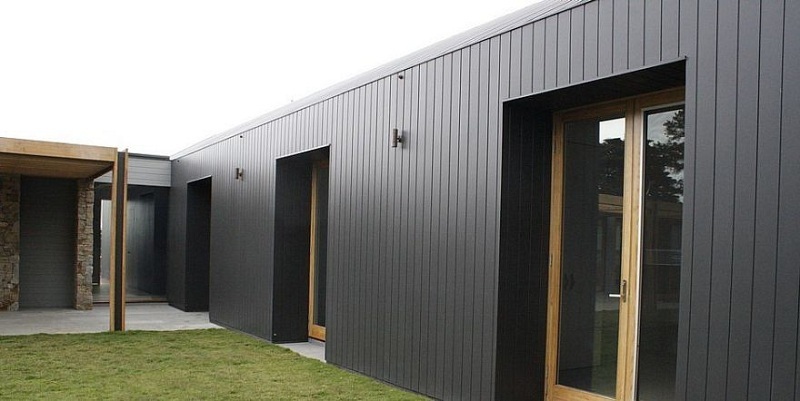 This ensures that the cladding is not only appealing but is also long-lasting and durable. Weathertex boards are manufactured. Thus, tend to be more stable and eliminates the problems like cracking or swelling. 5. Problems Eliminated: Weathertex claddings are not only easy to install but are also strong and easy to cut. This cladding works out to be resistant to termites. Thus, eliminating any uncalled for problems. 6. 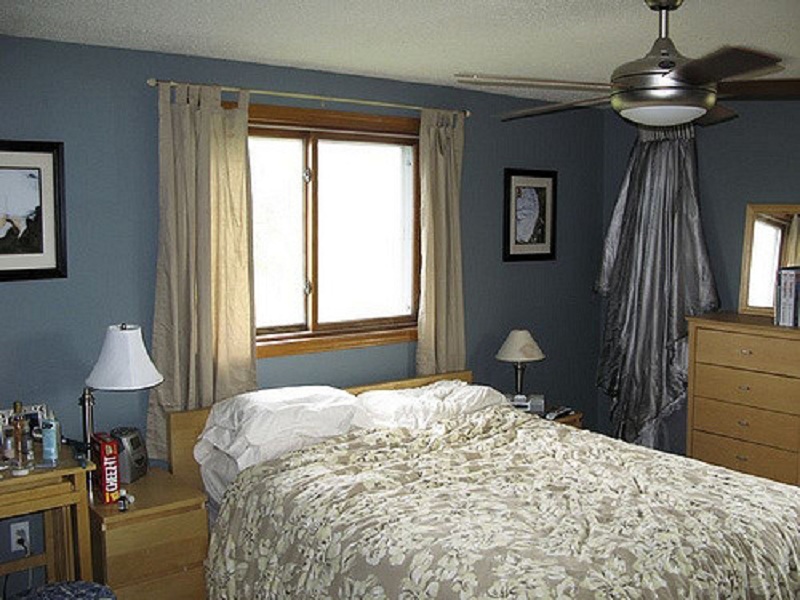 Guarantee: Opting for these claddings you can look for a guarantee for almost 25 years. This means you can consider this as a lifetime investment. Look for a manufacturer who offers you the different choices available in these claddings. As you have the availability of the multiple colors, making a choice, which complements your home, is much easier. You need to be aware that the color of the cladding chosen can influence the capacity of the cladding to either reflect or absorb heat. It is wiser to opt for light colors or those with reflective finishes for roofing. Besides, you need to consider the environmental factor when you choose weathertex cladding for your home. A general survey indicated that approximately 52 percent of respondents rated their kitchen a room with sufficient financial value, even more than the TV lounge and bedroom. Most of the household spent around 1,000 pounds to revamp their kitchen whereas well-off owners play with higher stakes, modernizing their kitchen from top to bottom for above 5,000 pounds. Being the heart of the home and space where we cook and family enjoys socializing, latest kitchen designs and trends for 2018promise just that so let’s have a look at what we’ve in store! A great many households surfaced from the typical laminate to quartz in 2016 and the trend is taking its toll in 2017 as financial worth and quality of the material become of significant importance. Quartz was once considered a hallmark of luxury kitchen surface being overpriced and rather out of reach of average household income. However, production of composite surfaces brings forth the ultimate possibility of natural stone being a perfect choice for both kitchen and bathroom surface. Throwing quartz over laminate increases the splendor of your kitchen so that’s one thing to go with in 2018. “Industrial look/appearance” is a new gig in latest kitchen designs that soared in 2016 and is likely to soar even higher this year! It’s characterized by the details such as exposed pipes, minimalist furniture, exposed bricks and metals, making the corner as if in an industrial production room. The look combines the beauty of stone, wood and concrete followed by advanced and innovative engineering, solutions and finishes. The looks simply create designs that reflect our desires, environment and that which is truly important; function, form and aesthetics. The linear look seems to have taken over the latest kitchen designs by storms such as simple and handle-free doors for a modern style, permanent gloss and earthly tone. The old-school timber and grained timber effects in natural stones are making a comeback due to the painted colour options. Another emerging trend is of clutter-free worktops as it allows ample space in a kitchen that lets you cook and move around conveniently. The cabinetry options also enable the layout to compliment with various shelves and compartment so that you’ve everything at an arm’s length. Clean and shiny worktops also give an illusion of spacious kitchen space which is a sweet option for consumers living in tighter spaces. Even with latest kitchen designs, designers prefer camouflaging smaller appliances so we’re likely to see kettles and food processors tucked in tall larders with deep drawers plus smart premium-quality storage solutions. 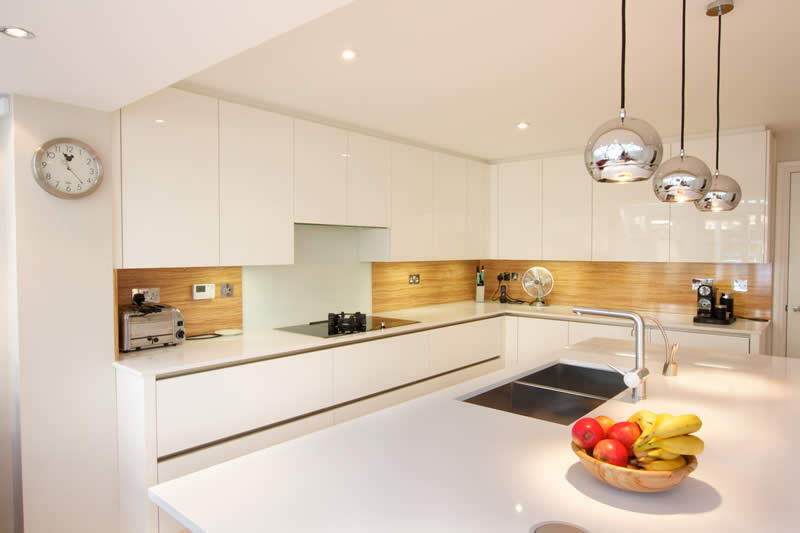 To create that unmistakable wow factor, style and practicality would become a hallmark of modern kitchens. There’re speculations of white, grey and black tones to rise in 2017 for kitchens. The shades may fit varying degrees be it the entire cabinetry, appliances or worktops. Even subtle shades now available in various details and accents are entering the kitchen design competition. While black and white have always been everyone’s favourite finishes, we’re seeing a growing demand for grey. The trend of chunky profiles and slim looks seems to have darted away, taken over by painted kitchens, thin contours that allow for shaker style doors and slab drawer combo. It maintains the classical proportion with a modern look and feels that’s unmistakable. New and modern painted doors fit perfectly to almost all type of traditional to latest kitchen designs with a few being handle-less even. The most preferred colour trend is grey and more earthly tones as homeowners opt for simple and neutral coloured kitchen designs. Copper coloured handles, kitchen accessories and appliances are likely coming back this year only to remain for longer. When people think of kitchen designs, most would tend to create a mental image of light, colourful and bright palettes. But why stick to the standard look when you can opt for something more elegant and exquisite? Modernly dark kitchen design is the perfect way to go for when you want to create a sophisticated look in your space. If you have the money and space capacity to incorporate a marble piece in your kitchen, then we highly encourage you to obtain this timeless piece. Pair the sleek elegance of marble white a matt black background for a dramatic black and white look. Monochromatic spaces never go out of trend! If you’re not ready to go for an all-over dark kitchen scheme, which is really understandable because most homeowners want to balance things out and not stick with a single colour palette. If that’s the case, then why not opt for a row of dark coloured cabinets surrounded with earth-toned details. In this kitchen design, wooden cupboards, white work surfaces, and sleek window splashback really balanced out the whole look– creating an elegantly dark kitchen without looking too overwhelming. Most homeowners may prefer their kitchens to have light aesthetics and bright tones, but this kitchen design stands truly out from the rest because of its dark, dramatic vibe. With its dark wood units, stark black appliances, and brick flooring, the overall look of this room seems to exhibit a bit of mystery and lots of glam. 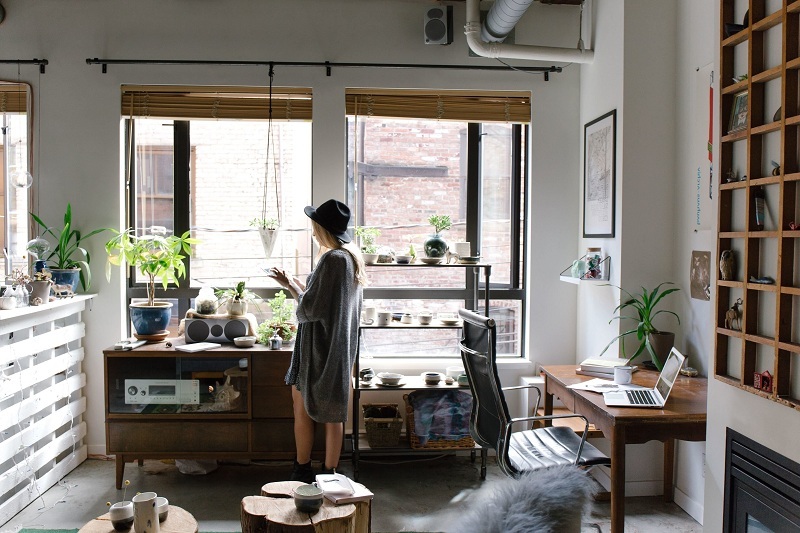 Clear doors or massive windows frames can easily add a light and airy vibe into any room, as it easily allows natural light to flood the whole place, thus, creating a perfect balance of light and dark without looking too gloomy or dull. 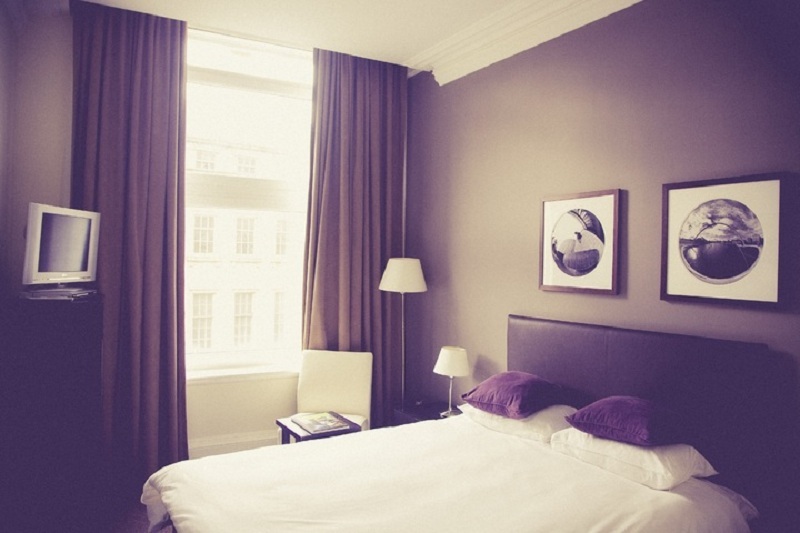 Remember, natural light is always the key to making your place look wider and brighter. If your dining area is also your kitchen, maximize its full potential by making it the focus of your home. This works particularly well when you’re keen on entertaining guests. You’ll be surprised at how many people you can fit in, no matter the size of your kitchen. Also, this kitchen achieved the look of sophistication by seamlessly blending in greys, woods, and subtle metallics. Which of these elegantly dark and modern kitchen designs is your favourite? Kitchen holds a significant place in your home. This is the place where you prepare food or start your day by getting yourself a cup of coffee. When you give your entire home a makeover, there is no reason you may leave behind your kitchen. Clean and inviting kitchen would mean healthy and tasty meals. Colors and placement of appliances in the kitchen may bring positive energy while cooking. Properly placed utilities in a kitchen would save your time being lost in hunting for things and hence increase your efficiency. Before starting anything afresh, it is important to remove the old and unnecessary stuff. Decluttering the kitchen space before starting the designing afresh will expand the scope of designing. Go through your inventory to segregate the stuff that has already hit the expiry or about to hit the same. Keep a separate shelf for the stuff nearing expiry so that you can use the same before it gets outdated. Decluttering the kitchen at regular intervals would give you a clean place to boost your creativity. Bright kitchen is more inviting than a dull lifeless kitchen. It is always better to have natural light in the kitchen to keep it germ-free and clean. Natural light entering the kitchen can be increased through proper ventilation. 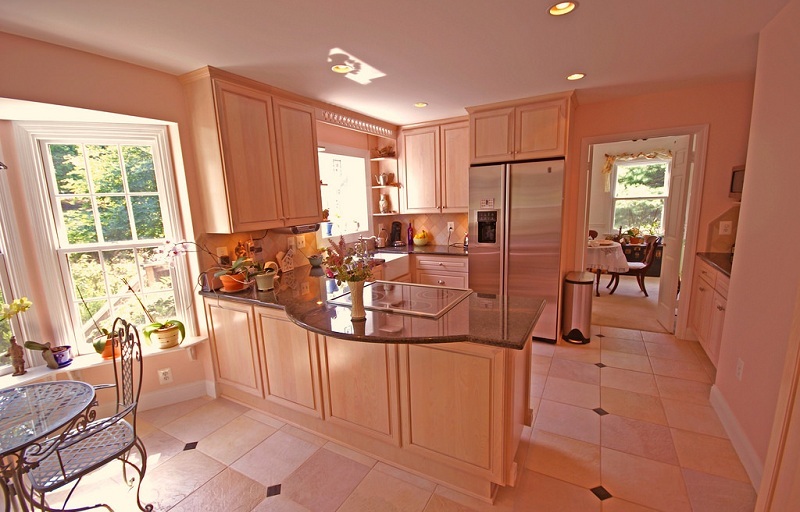 By using the light colored cabinets, you can reflect the light in the entire kitchen. If your kitchen is having a dark décor, then it is time to change the cabinet shutters. This won’t cost you much but will be a great way to give your kitchen a makeover in a limited budget. Clutter-free kitchen can be achieved only when you have proper space for everything. For smaller floor space, you can plan for vertical storage with multiple shelves to have right space for everything. Keeping things at the fixed place would ensure that you always have clean kitchen to work with utmost efficiency. Take out time to recognize your storage needs and make room for everything. A tall unit with pull-out shelves would give you convenience while cooking and may take only little floor space. Many people ignore the light effect in the kitchen. They work on illumination to keep the cooking area well-lit but usually lack the effects. You can make the difference by including chandeliers and mood lights in the kitchen. It works for the kitchens having cooking islands and quick-serve arrangements. If you have some corner or wall in the kitchen worth highlighting then use the spotlights or focus lights for the same. Kitchen comprises of appliances, storage, and cooking platform, however if you are planning to have the kitchen that grabs more eyeballs, then you will have to take care of the walls as well. Like all other rooms in your home, you may decorate the kitchen walls as well. 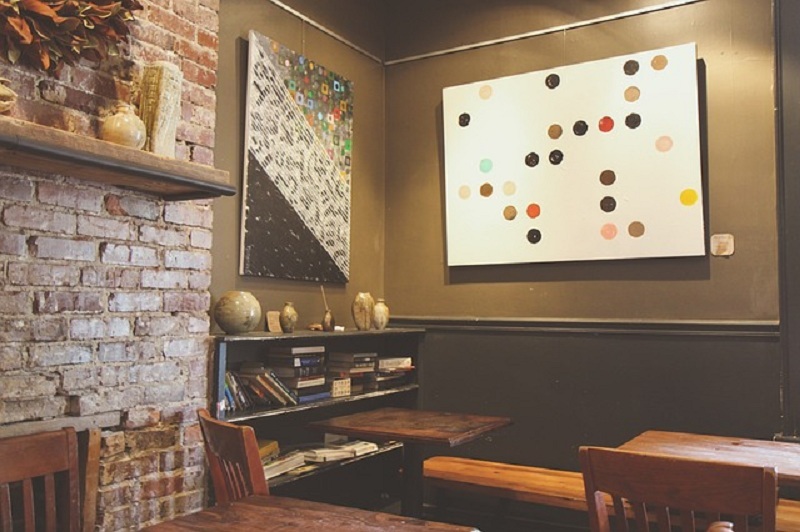 Go creative in decorating the walls as the regular wall hangings may not work in a kitchen. Place a hanging board where you can put up the “Chef’s Special”. It will be fun for the family to check this board daily. If there is nothing special then a good quote on the board would also help! Kitchen is the source of energy. Positive ambiance and inviting decor would bring positive in a food you cook, which would eventually show up in your behavior and thoughts. Define a budget and start working on kitchen makeover now for quick results. The only part of the house that we neglect the most is the kitchen. Unfortunately, we forget that it is the heart of our home. Have a look around your kitchen and tell me the most touching memory that you have with it. Maybe it was when you made your husband’s favorite pudding, or when he made that pasta on your first wedding anniversary. A kitchen is where we share our meal, exchange emotions and most importantly cook those delicious foods that keep our heart and stomach happy. 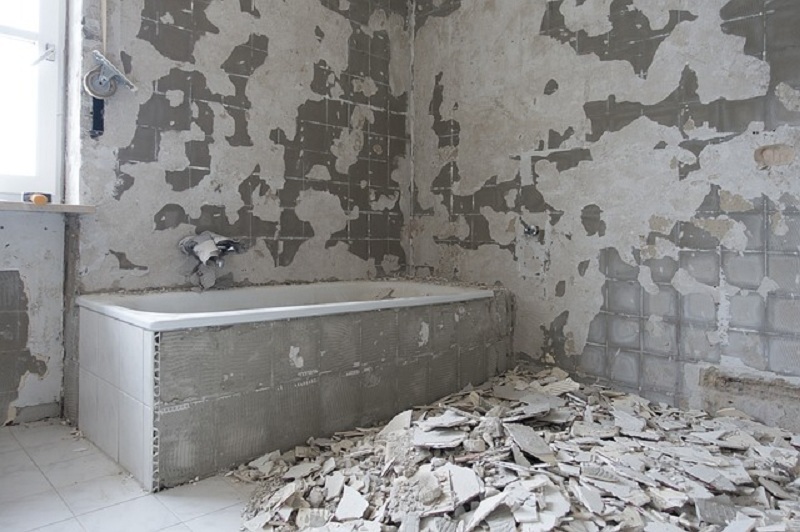 So how can you neglect this essential area of your home? Because you thought of renovating your kitchen is not really necessary when you are investing time and money for your home renovation? Then you are wrong! Read this blog carefully and know some easy tips that will give a new life to your kitchen. But before anything else, plan your budget and then re-design your kitchen accordingly. 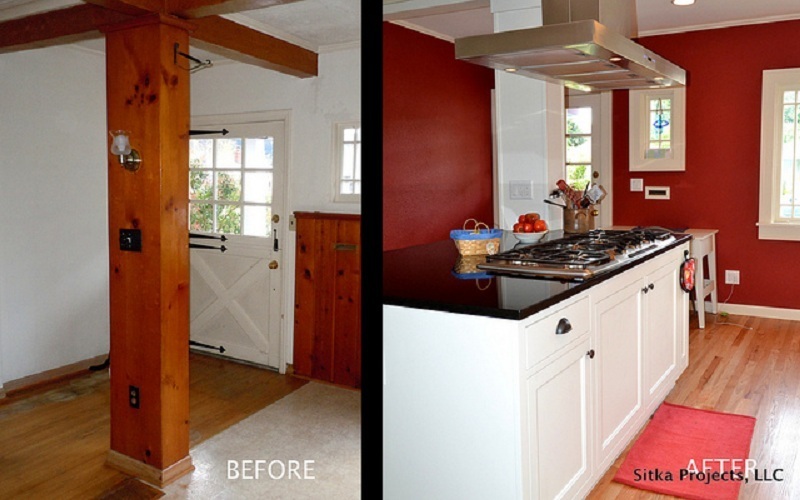 When was the last time you painted the kitchen cabinet? If it was a couple of years ago, then they must have gone wary. Paint those cabinets instead. This is perhaps the most reasonable and easiest way to revamp your kitchen. Remember to color them in light shades as this will add a glow and illusion of space to the kitchen. If you have wooden cabinets, it would be much easier to paint them. Painting the cabinets is a DIY activity. If you want, you can save money and paint it yourself. If you get it painted, that won’t cost much either. Apart from light colors, you can keep a check on the latest color palette that is ruling the kitchen color trends. By revamping the look of your kitchen floors, you can actually give a facelift to the entire kitchen. 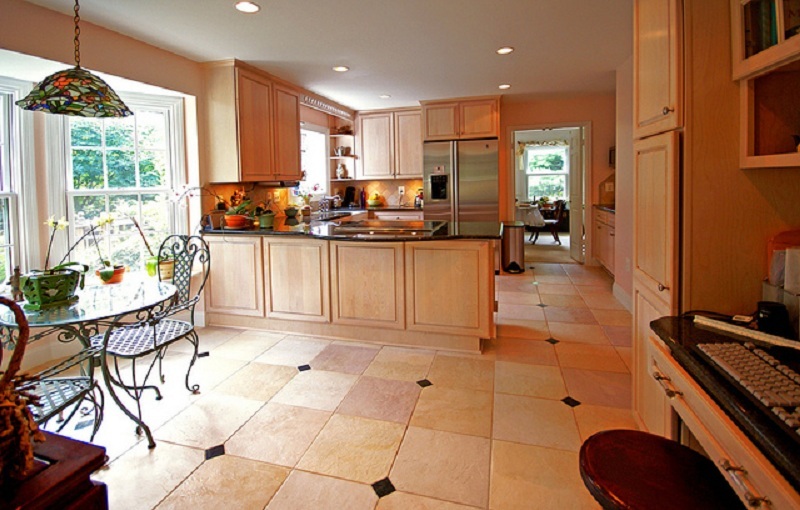 Changing the flooring in the kitchen can be considered as an essential element in Kitchen Renovation. No matter what is the size of your kitchen, replace the old flooring with new wood finish tiles and see the difference. It will be a sweet shock, I am sure. Break the monotony by re-designing the backsplash of your old kitchen. 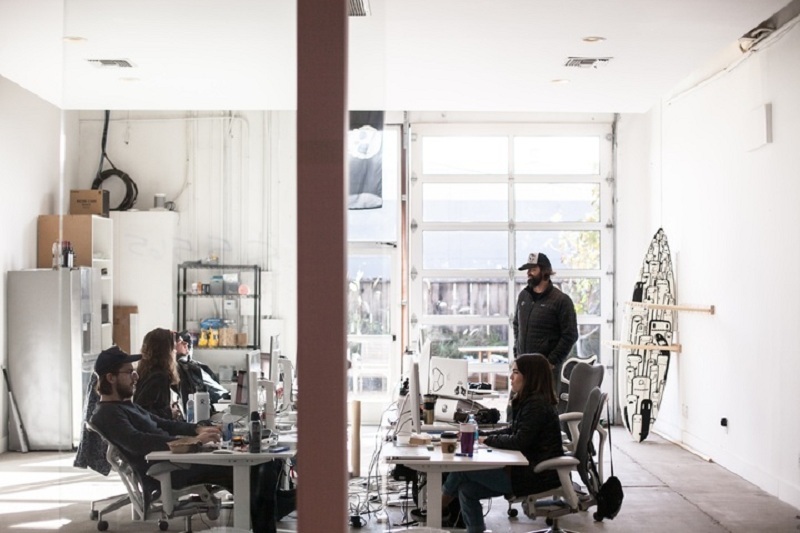 It is that area where you can show your utmost creativity. 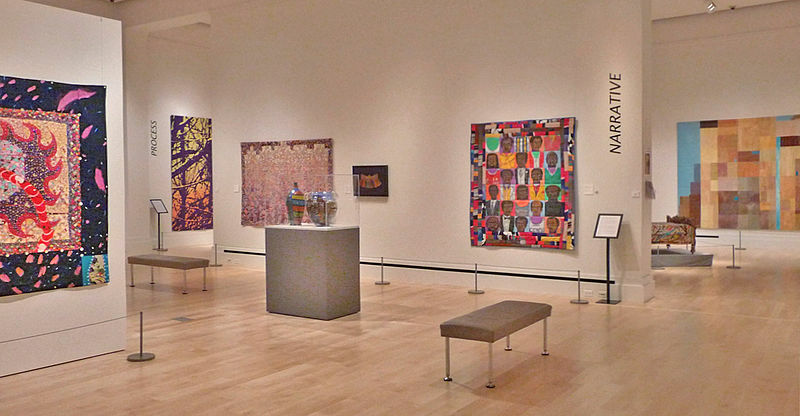 Play with artistic glass tile, colorful tiles or intricate mosaic tile designs, the choice is yours. Add a Midas touch to your old kitchen with this simple idea. Check your kitchen counter. Does it feel rough, patchy or discolored? Then it’s time for some re-touching. 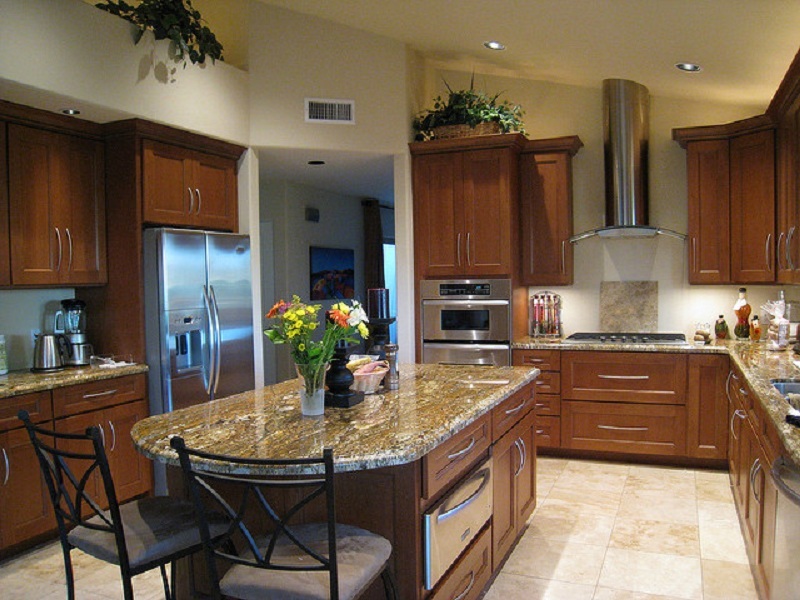 Marble and granite countertops require polish at regular intervals. So get it polished and see your kitchen sparkle. Kitchen cabinets work as the basic storage options in a kitchen and changing them can alter the look of your kitchen in a drastic way. If you are thinking about changing them, consider RTA Cabinets. They are affordable, durable and easy to install. No matter how big or small your kitchen is, they will perfectly fit into the size. 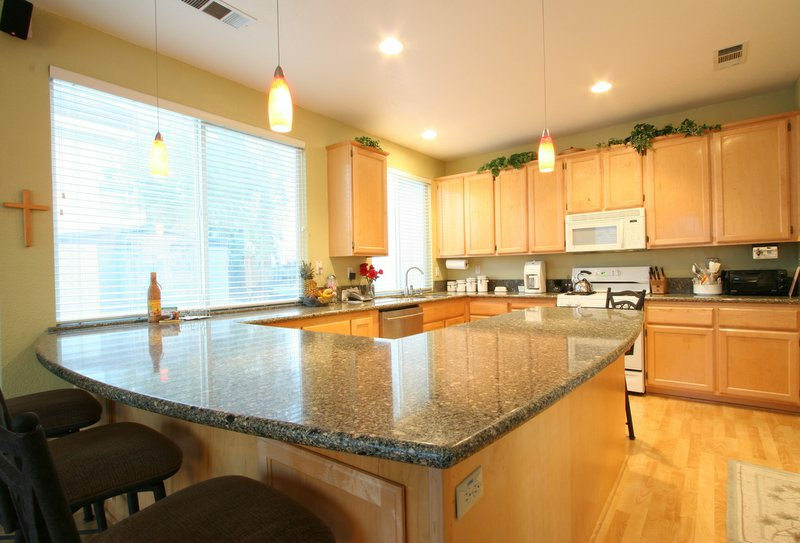 Many times, improper lighting can make your kitchen look dim and dull. It can also make your kitchen works difficult. 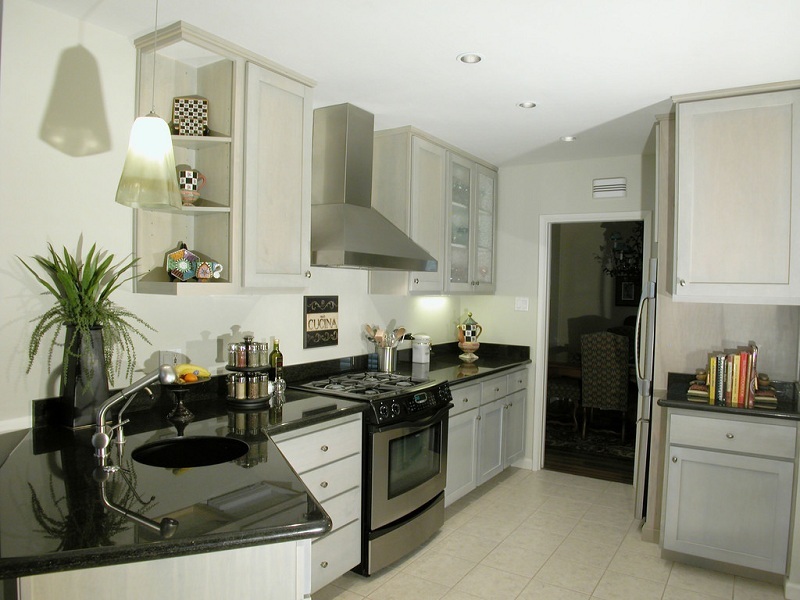 Install new budget-friendly lighting system to renovate your kitchen. Use the right amount of light in the right place and see your kitchen illuminate. You can also install chandeliers on the top to give a classy touch to your kitchen. Follow these simple kitchen renovation tips as they are super easy and cheap too! Try these out for sure and let me know if you have any other ideas in the sleeve. 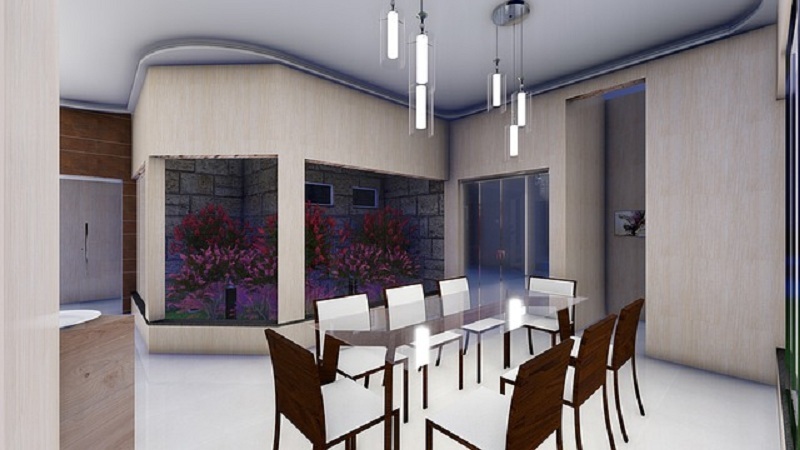 The task of designing the interior of the house can become a tedious task while we look for ideas and objects that convince us and give a different touch to the spaces of our home. In addition, purchasing designer items are often expensive and out of our budget, especially when it comes to pieces of a trend with an artistic touch. 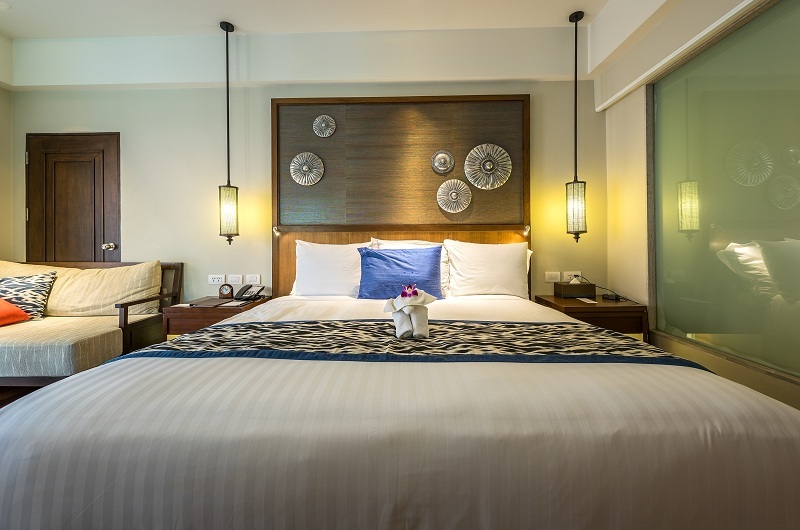 The originality in home decoration, however, is full of alternatives; besides that we can always use our creativity to customize the rooms at home. And the best thing is that we can do it with a tight budget if we take advantage of some discounts. Within the category of cleaning, we would have items such as steamers , glass cleaners or high pressure cleaners , items that not everyone has at home but that are increasingly demanded by the ease of use they have and the comfort that we find having an item like these at home to clean more deeply and more quickly in 2018. As we say, a few years ago probably none of us would have thought of having a device of these at home and right now we will surely have one of them in our home. Another type of household items most in demand and that is more normal that everyone has are those related to temperature and well-being in the home. Everyone likes to have the best electric radiator for their home and always keep it at a good temperature by spending as little as possible for example. If you have central heating or boiler will not be of interest but if you have heating for electricity then you will have no choice but to get a good model. Another alternative is to buy a gas stove, although less demanded. Depending on your needs, it may be worth it with a good evaporative air conditioner. If we look more at leisure items, a classic is to buy home television over the internet or any technological device for family use such as a DVD player, a music player or even a computer. It is also usual to buy any small appliance for the kitchen such as a capsule coffee machine, a toaster or even buy a microwave, washing machine or dishwasher. Nowadays, whatever the decoration product, no matter how big it is, you can send it home and assemble yourself, as long as you have the minimum knowledge to do so. Moreover in home products best water pads are also necessary need which are perfect tools to apply heat treatments on your body to relax your muscles or relieve pain or injury after the hard work. The best heating pad can do it with all the necessary safety measures and an efficient design that allows you to treat the affected area in the most appropriate way. With them you can relieve tension or pain in the neck, back, lower back and many other delicate areas of the body such as the cervical spine and shoulders. There are 3 varieties of water pads on the market and learn how to detect which is the best of all so you can go home and relax the muscles with your ideal model. The best water pads are easy to use and are heated by chemical reaction. These are pads that, in general, are for single use. Although some pads can be reset when boiled. They offer a one-time instant heat therapy. Water pad works on the area of the body for which you need the pad and look for a model that fits that area. If it is a very specific area and located as elbows or knees, you should try hot bandages instead of pads. Look for a model made with flexible fabric that fits the contour of your body and offers you the greatest comfort. The idea is to warm the muscle, not the skin. That's why pillows are recommended with temperatures ranging from low to medium level instead of high heat. Find a pad that is machine washable. They are more practical and comfortable. Pads that combine electric and gel heating options are more portable and versatile. Wet heat pads are better for pain relief, while dry heat pads are more comfortable for relaxation and are easier to adjust. A model with both functions is definitely more versatile. The more adjustable the pad, the more convenient it will be and the better it will treat any pain or tension. For greater security, look for a model with automatic shutdown to stop working after an extended period of time. It is ideal if you want to use it before going to sleep. 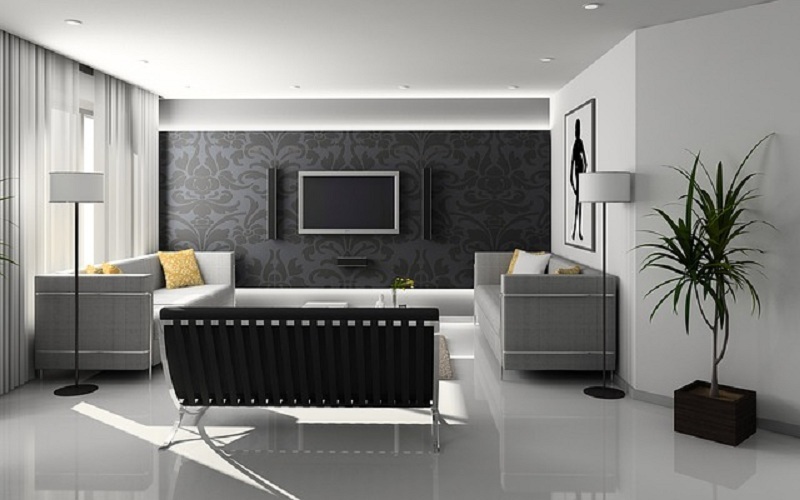 In short, it is probably the home decoration products that have the most offer along with technology. For home decoration the above mention suggestions products have the most competitive offers. A kitchen is often called not just the hearth, but also the heart of any home. 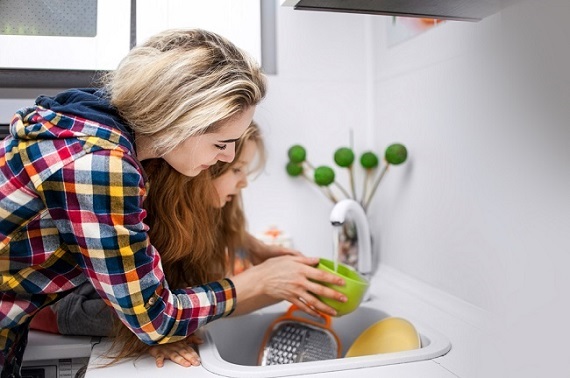 In order to clean the kitchen area, wash and clean utensils and vegetables, and to conduct your kitchen chores, you need water, and for that, you need the basin taps or the sink taps which can lead to a proper flow of water. An important kitchen element is your kitchen tap which is used quite frequently in a day. You need it while cooking, washing your pans and pots, cleaning countertops and vegetables. Therefore, it is important to choose best quality taps for your kitchen. Each of the tips mentioned above can fit any style of kitchen. They all have some interesting and individual features. You should select them on the basis of these unique features. If you are still confused, you can take advice from your mom. After all, she has years of experience in this household matter. Whenever you want to buy anything for your home, you consider its finish. It becomes mandatory for the things which you will show off. So, you must consider the finish of your kitchen tap. 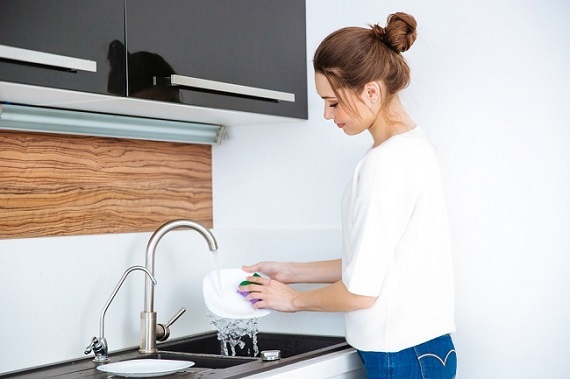 According to the way that mom says to choose kitchen taps, you must choose those taps which are easy to clean and maintain, and which can be operated and installed very easily. Go for those taps that are long-lasting and durable as far as regular use is concerned. Clean your taps by using warm soapy water with a soft cloth. You must consult with someone who has earlier experiences. So, your mom is the right person for choosing most decent kitchen taps for your home. You can get hundreds of stores supplying a wide range of fabulous taps. But if you are a beginner in the process, you must not listen to the salespersons. 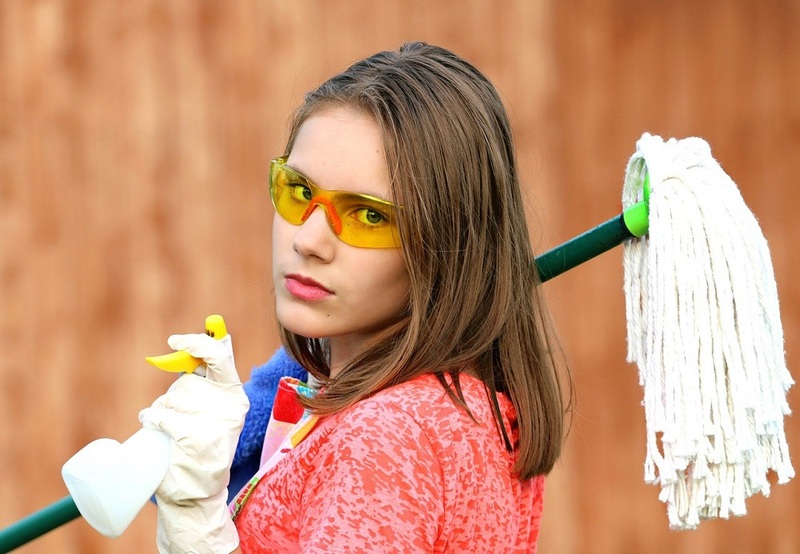 House cleaning is a major concern for moms. Especially in dry climate and during vacations, it is very difficult to keep the house clean from the dust particles. At this time, the Floor mats can be of great help for moms. They are the best ways to keep the minuscule dust particles out of the home. These mats are used in homes, offices, cars, etc. Many people manufacture and sell these home floor mats of different sizes, designs and colors at competitive prices. Pick the best one that suits your residential or commercial needs and budget. These are a decorative piece that adds beauty to your place with their vibrant colors. With excess foot traffic and stubborn stains, it is highly cumbersome for the housewives as well as the moms to clean the mats. However, there are a few mats which are easy for the moms to clean the debris accumulated in the mats in the absence of the maid. A home would be incomplete without a floor mat. It adds aesthetic details to the home, also helps your mom to keep the house free of dust. The key advantage is, it keeps the home area clean and neat and promotes sound health of the people staying in the home. It is vital to place a mat in the home where elders and children reside. When a person enters the home, the floor mat keeps the dirt and dust particles under the feet at bay. This protects the floor from getting stained which in turn helps mom in keeping the house clean. These mats are made with different materials. Mom can pick the one that will suit the interior décor and also is easy to maintain. In addition, the mats can be customized by adding designs. Your mom can use these mats in kitchen, living room, bedroom, washrooms and in gym areas. Invertible mats are also available which can be used on either side, i.e., if you get bored or if one side is stained, then mom can flip the same mat and use it for a few more days. Following are a few different types of floor mats that are available in the market for home use. Entrance mats: Used at the entrance to give a warm welcome to the guests and also to block the dirt from entering your home. 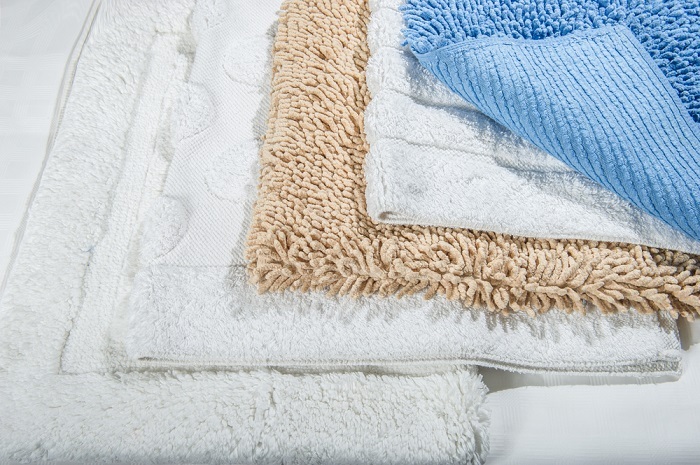 Bathroom mats: Made of waterproof materials, which absorb the water in your feet. Help moms to prevent the floor from getting wet and from slipping. Kitchen mats: Made of rubber material which easily absorbs the grease and moisture. Keeps the kitchen area dry and avoids slip and injuries. In addition, these mats have holes in between to drain out the water outside and clean it without any hassle. Apart from kitchen, these rubber mats are also used in huge foot traffic areas, especially in hospitality business, industries or shopping mall entrances. Moms can easily wash these mats with mild detergents to deter the formation of mold in the absence of the house maids. You can dry the mat under the sun and ensure that it is completely dry prior to using it. Floor mats can be of any size you desire. So, decorate your home with different types of floor mats and keep your home clean. Purchase thick mats: Use of thin mats results in safety issues such as mats catching your shoes while rubbing, getting stuck while closing the doors, etc. Purchase mats that are thick and ensures high safety, cleanliness, and give a wonderful look to your home. Durability: Purchase mats made of high quality material which lasts for a long period despite of extreme tear. Select those that catch the dirt quickly, add elegance to your home entrance and are durable.